The new NVIDIA GeForce GTX 470 is a DirectX 11 compatible Graphics Card featuring 1.2GB of memory,607MHz graphics , 1,215MHz processor clock speeds ,CUDA , and NVIDIA PhysX technologies. Expand your games across three displays in full stereoscopic 3D for the ultimate “inside the game” experience with the power of NVIDIA 3D Vision and SLI technologies. NVIDIA Surround also supports triple screen gaming with non-stereo displays. Fully integrated support for HDMI 1.4 including xvYCC, Deep color and 7.1 digital surround sound. 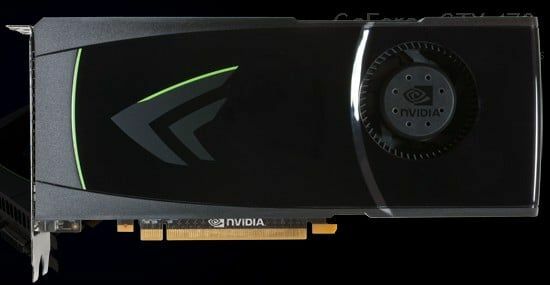 NVIDIA GeForce GTX 470 Price in India : The new NVIDIA GeForce GTX 470 price will be around Rs.16,000 in India. good can you tell me is this Graphic Card is good for playing Games Like GTA IV ,Black Ops,Crysis 2 etc. 9800 GT i bought abot a year ago and GTS/x series they relased like few months ago..